“Sustainability” has become a buzzword: a quick way for marketers to grab the eye of the eco-conscious consumer. But what does the word really mean? To us, sustainability means making well-informed choices to do the least amount of harm to our planet and its people, and it means making efforts to do more than our part to help improve living conditions for future generations. Important facets of any sustainability discussion are waste, how it occurs, how it is minimized, and how it is disposed. Our business aims for zero waste and we come very close to this goal every day. We are obviously a food maker, so let’s talk about food. America wastes roughly 40 percent of its food. That number is staggering, especially considering that one in six Americans is food insecure. 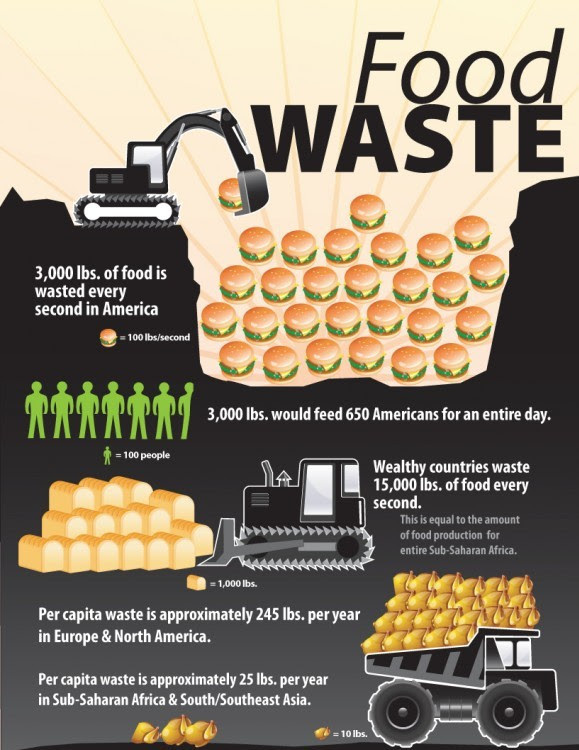 This waste occurs at every level of the food system, from farms to restaurants and homes. We try to pinpoint our focus on waste at the manufacturing level. A study by the Grocery Manufacturers Association estimated that in 2011 the U.S. food manufacturing sector produced 44.3 billion pounds of food waste. The majority of this waste is generated by trimming edible portions of food such as skin, crusts, and peels. For example, potato processing plants typically see about 50% of the potato go to waste when creating potato-based products. While this isn’t necessarily representative of all processing, the numbers are still shocking and indicate that some processes may result in even worse outputs. At Big Spoon Roasters, we use every part of our ingredients as they arrive. Everything goes into a nut butter or bar. Overproduction, product damage, and technical problems at manufacturing facilities can cause large quantities of food waste, as well. As a small-batch maker that places an incredible amount of value on every ingredient, we are able to avoid many of these pitfalls. Our handcrafted, made-to-order process allows us to keep an eye on every ounce of nut butter or bar we produce. Producing to order means that we don’t have back-stock that goes out-of-date on the shelves. We scrape honey buckets to use almost every last drop and we get every last spoonful out of our mixing bowls before we fill our jars. During the jarring process, when we transition from one variety to the next, we save “transition jars” that cannot be sold but are still perfectly delicious. These jars are shared with the staff as break room snacks. Finally, when hand-cutting our bars, any that do not adhere to the proper weight are packaged as samples for product demonstrations. These measures result in an average of just .67% waste for bars and less that 1% waste for butters. The national average is 16%. This is not about patting ourselves on the backs, though. Our goal is zero percent waste, so we still have work to do. Our last effort to control food waste comes in an unusual place: sales. We are one of the few food makers we know of who encourage wholesale customers to order small quantities, often convincing them to order less than what they’d initially requested! We do this because want our products to be as fresh as possible on the shelf. This prevents waste at both the retailer and consumer level. ***Chart courtesy of Tufts University.